Seizanji Temple is the representative of the Koyasan Shingon Buddhist Temple in Australia. 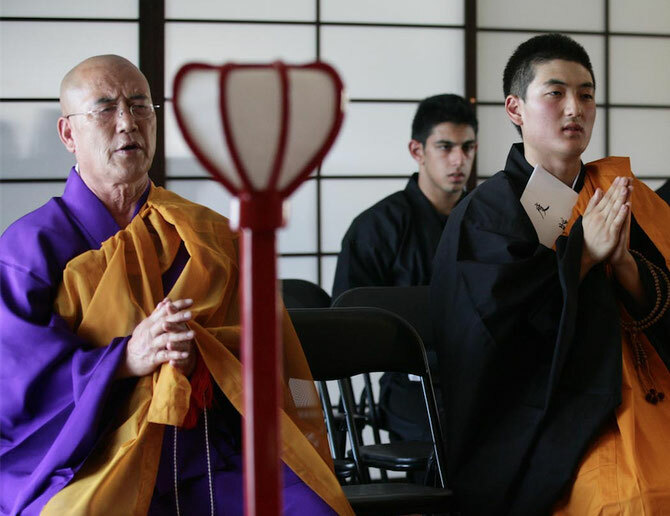 It serves to provide instruction in Shingon Buddhism and meditation classes based on traditional esoteric practices handed down for over a thousand years. Buddhism born in India, before long, crossed back and forth Central Asia, handing down their idea to China and the like (Hokuden Buddhism). After that, in the 6th century, was imported to Japan. Again, Buddhism, by way of India and Ceylon, was imported in the 11th century from Burma (present day Myanmar) and Thailand (Nanden Buddhism). In this way, Buddhism is spread widely all over the world, but the Shingon sect, begun by Kobo Daishi Kukai, within an esoteric type of Buddhism called “Mikkyou” was developed in the 8th century, the Golden Age in India, and developed thereafter. The Shingon sect of Buddhism follows the doctrine of esoteric Shingon teachings compiled by Kobo Daishi (Kukai) in the Heian period. 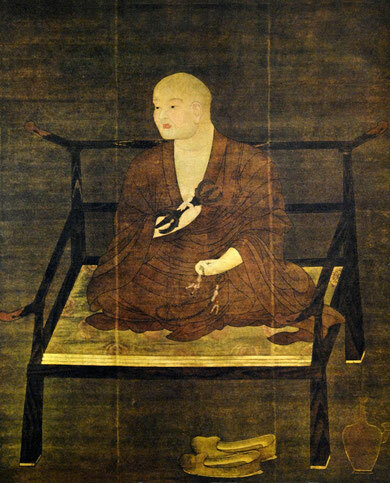 “Shingon” refers to the truth revealed by Buddhism. These teachings tell us that words and existence are inseparable, and that the true essence of Buddhism cannot be explained in human language. Instead, the words used in scripture embody the deep meaning and teachings found in phenomena around the world; they are signposts to true reality of all things. Kobo Daishi tells us that it is these esoteric teachings that are truth, and that esoteric Buddhism is the path to understanding them. By contrast, exoteric teachings are concerned with discerning meaning from the surface of things in the world. Exoteric teachings include the Mahayana teachings found in Hosso, Sanron, and Shomon and Engaku practices. Kobo Daishi expresses that this Hosshinbutsu, or truth of the universe, being taught directly to us as an insight of truth is called the “Hosshin Seppo.” This space-time listening to the wisdom of this teaching will be the circumstance of the three mysteries incantation (Nyuga Ganyu). By that meaning, in the Shingon sect, the Buddha and the universe are a gift to the people, and also, is a basis for a prayer as a condition for the mysterious ability of the people to react, and according to that, understanding the insight of the Buddha, naturally accumulating pious acts, helping the people, and making them happy are regarded as the most important, so it can be said that it is a practical Buddhist sect. Above is a photograph of Rev. 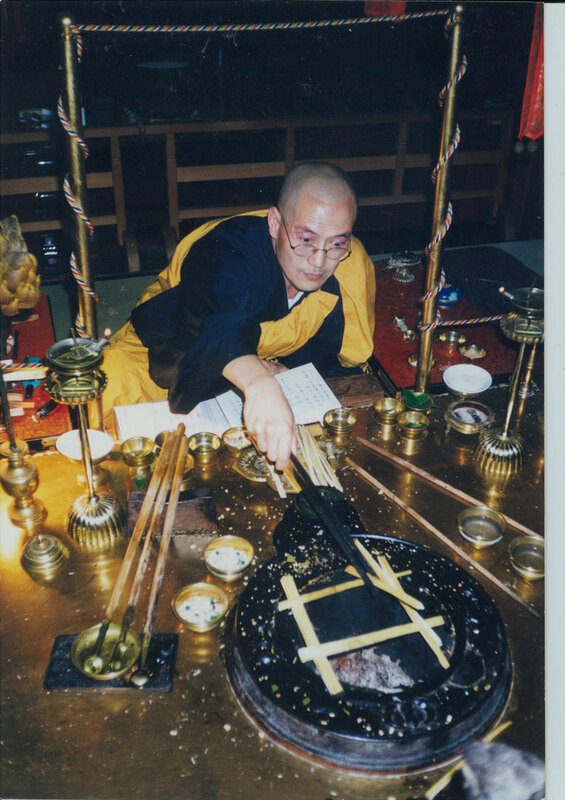 William Washo Saito, the Abbot of Seizanji Temple, performing Kajikitou (Incantation/加持祈祷) at Koukenji Temple in Kagawa, Japan. We perform Kajikitou services upon your request. Please ask us in the 'Contact us' section.